LISTEN. I’M SURE YOU’RE TOO EMBARRASSED TO ASK, SO BEFORE I DROP YOU OFF, WHAT DO YOU SAY? A PICTURE AND AN AUTOGRAPH? OKAY. 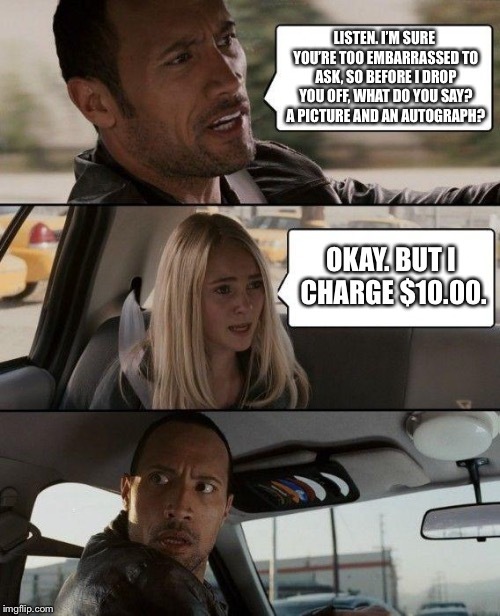 BUT I CHARGE $10.00.